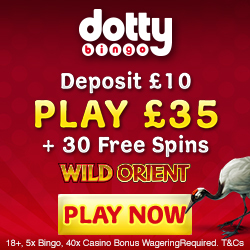 Mobile Bingo Bonuses like to bring you the best in online slots and as such we had to tell you about a new video slot brought to us by Nextgen Gaming. This is a follow up game of the incredibly entertaining Foxin Wins, so we knew Foxin Wins Again was going to be good. What is Foxin Wins Again Slots? The basics of the game is that it’s a 5 reel 50 payline slot, which has the SuperBet feature meaning that additional games are received, higher win multipliers unlocked and wilds available on the reels. The cost per spin of Foxin Wins Again is 50p, or 75p if you choose the SuperBet feature. Foxin himself will help you manoeuvre around the game, which is full of nautical themed icons such as a compass, ocean liner and bell. If you’re wondering why this game is better than Foxin Wins, well it’s all about the wilds! 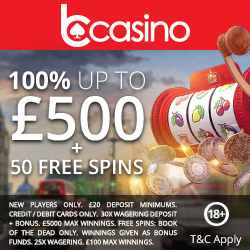 With their bonus games feature, you will begin with 10 bonus spins which can only increase your chances of winning; look out for the 3 plus bells. 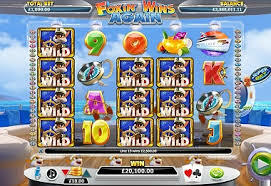 Spotting extra games fox pup means a greater winning potential with funds being subject to a 2x multiplier, amazing right! You certainly won’t be disappointed with this sequel, as Foxin Wins Again has an average RTP of 95.67-95.86%. 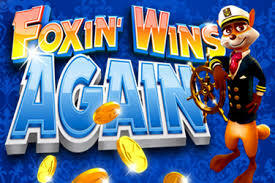 Foxin Wins Again is available on a fantastic casino site called Guts Casino which offers not only great bonuses but also high quality gaming including slots, casino and poker. To register and take advantage of the welcome package simply head to Guts Casino and you’ll find Foxin Wins Again on their home page.